Co-authored by David Spratt from Carbon Equity and Philip Sutton from the Greenleap Strategic Institute, this 300 page book takes the reader on a journey through climate change science, targets and solutions to conclude that the planet is already too hot and that we face a climate and sustainability emergency. Climate Code Red is published by Scribe. Tap into information and action opportunities related to Climate 'Code Red'. 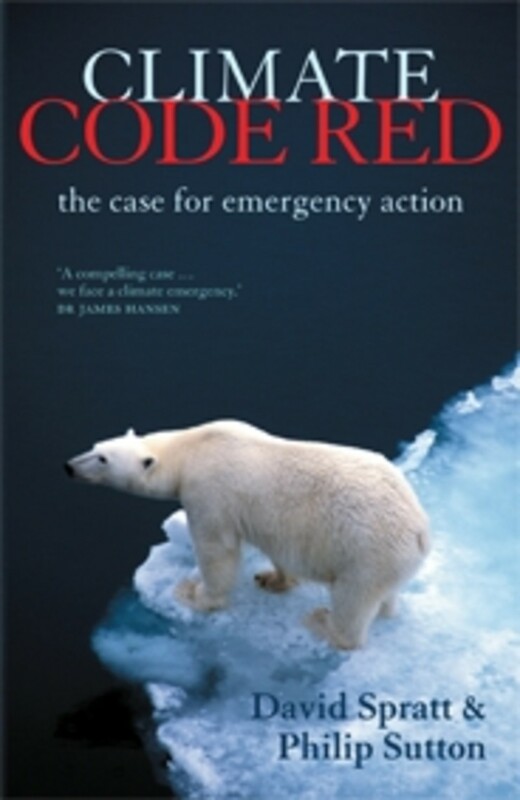 The Climate Code Red website has links to online bookshops stocking Climate Code Red. Contact the The Climate Emergency Network to tap into the activities of a large number or organisations and individuals. For a targets based campaign that would restore the Arctic sea ice see Target 300; for a solutions based campaign based on getting to zero emissions in 10 years plus excess CO2 draw down see Beyond Zero Emissions. Al Gore's 10 year Challenge to America (17th July 2008) PDF file - "Today I challenge our nation to commit to producing 100 percent of our electricity from renewable energy and truly clean carbon-free sources within 10 years." arctic_flushing-2007-2008.avi Flushing of Arctic ice 2007 and 2008. Bravenewclimate.com Prof. Barry's Brook's blog where he analyses specific Australian denialist articles or programs in newspapers, TV, etc.